Melt butter in skillet over medium high heat. Stir in garlic and cook for one minute. 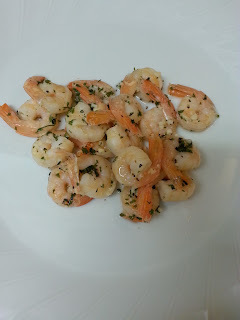 Add shrimp and toss, cook until pink and opaque, about 5 to 6 minutes. Add lemon juice, parsley, salt and pepper and toss. We love shrimp too! Thank you, Ramona!